We get precious few days of summer here in the Great Northwest, which is why everyone at Greenside Recreational is ready to head out and soak up SeaFair Weekend! Seattle Summer Fun helped kick off Seafair 2015 at Westlake Park in Seattle. Check out SeattleSummerFun.com for details and for more fun stuff to do in Seattle! SeaFair has been a local tradition for nearly seven decades, and seems to get better and better every year. 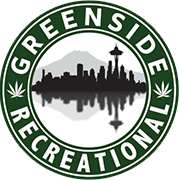 Of course, before you head out Seattle’s loud, lovely celebration of summer, make sure to swing through Greenside Recreational and stock up on extracts, edibles or flower— because once you’re in the thick of the action, turning back is impossible! No other event in the county offers spectators the opportunity to see the amazing acrobatics of the U.S. Navy’s Blue Angels at such close range, and whether you’ll have your eyes on the sky, be cheering as the ferocious, turbine-powered racing boats rip across Lake Washington, or just exploring all the surrounding festivities, our friendly staff will have a perfect cannabis recommendation. Remember, if you want enjoy the music from one of the many live bands that’ll be performing, make sure to bring some ear protection, as anywhere near the boat pits is unbelievably loud. This year, one of the activities everyone Greenside Recreational most excited about is the app-based SeaFair Mobile Scavenger Hunt Challenge, which will send players on a tech-driven treasure hunt that’s great for teambuilding exercises or families looking for some outdoor fun! Seriously, you didn’t think Pokemon Go invented the interactive quest, did you? Those worried about fighting traffic should also look into cycling to the event, as the organizers have a support staff ready to valet park bikes. And while SeaFair Weekend is perfect for kids of all ages, the large crowds mean organizers have asked revelers to leave their four-legged friends at home. Unfortunately, while folks are free to bring their own food and drink along, alcoholic beverages are prohibited, which is a sound reason to score some cannabis product from Greenside Recreational beforehand. Get all the details at the official SeaFair Weekend site. We’ll see you there!